Born in Kumamoto, Japan, Kitasato completed his medical studies at the University of Tokyo in 1883. Shortly after, he traveled to Berlin to work in the laboratory of Heinrich Robert Koch (1843-1910). While at the lab, Kitasato discovered a way of growing a pure culture of tetanus bacillus. In the following year, Kitasato and German microbiologist Emil von Behring (1854-1917) reported on the discovery of tetanus and diphtheria antitoxin (a substance that neutralizes poisons). The researchers found that animals injected with the microbes that cause tetanus or diphtheria produced substances in their blood, that neutralized the toxins produced by the microbes. Furthermore, these antitoxins could be injected into healthy animals, providing them with immunity to the microbes. This was a major finding in explaining the workings of the immune system and in the development of vaccines for diseases. In 1892 Kitasato returned to Tokyo and started his own laboratory. Seven years later, the Japanese government took over the laboratory, but kept him as director. When the laboratory was consolidated with the University of Tokyo, how-ever, Kitasato resigned and founded the Kitasato Institute. During an outbreak of the bubonic plague (a contagious disease spread by the fleas of contaminated rats) in Hong Kong in 1894, Kitasato was sent by the Japanese government to research the disease. He was able to isolate the bacterium that caused it. Four years later, Kitasato and his student Kigoshi Shiga were able to isolate and describe the organism that caused dysentery (an infection of the lower intestinal tract producing pain, fever, and severe diarrhea) as well. 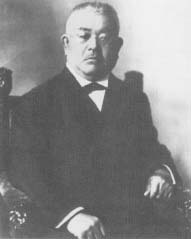 Kitasato was named the first president of the Japanese Medical Association in 1923 and was made a baron by the Emperor in 1924. He died in Japan in 1931.